Simplest form of cutting tool. 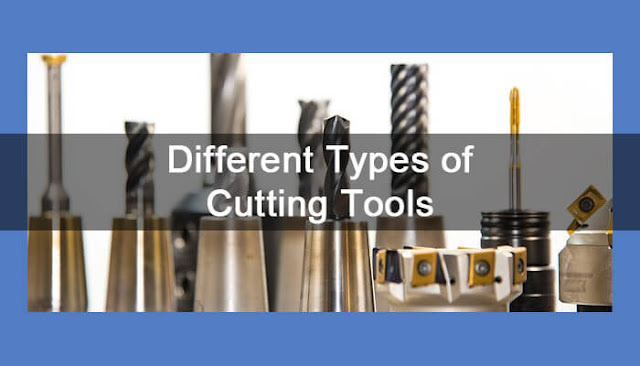 This type of tools has only one cutting edge to remove excess material from the workpiece. They may be left/ right handed according to the side of cutting edge when viewing from the end point. They have more than one cutting edge to remove excess material. It considered as a series of single point cutting edge on the periphery and during operation each cutting edge independently cut the workpiece. Ground type - Cutting edge is formed by grinding the end of tools. Forged type – Rough forging is used before hardening and grinding to form a cutting edge. Tipped type – High-grade material tools are usually provided by this method. The cutting edge is formed in the form of the small tip, which is brazed to the shank of lower grade material. Insert or bit type - A tool bit of high-grade material is formed in the form of polygonal shape, and then it is mechanically held by the cutting tool holder. Inserts cannot reshape, so it is discarded when all cutting edges wear out. Then new bits are inserted into the tool holder. Roughing tools: For removing a large amount of material in the form of a thick layer of chips. Surface Finishing tools: Metal removal in the form of a small section of the chip with high cutting speed to achieve good finishing.